Innovative ideas and freshly minted businesses need a helping hand before they are ready to step into the market. An incubation facility that offers the necessary infrastructure, facilities, resources and mentoring, is the best that start-ups can get. The Manipal Innovation Center’s (MIC) Incubation Facility offers all of this and a lot more. 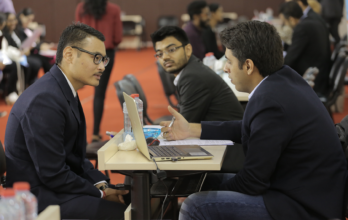 The Manipal Innovation Centre (MIC)/Incubation is an initiative of the Manipal Academy of Higher Education Dubai (MAHE Dubai) Campus that provides a nurturing environment to technology-based business ideas so that they prosper and become capable contributors to the community and economy. MIC was formed to bring academia and industry closer to each other and enable the faculty and students to pursue new avenues of market-driven research. An important objective was also to enable them to ‘commercialize’ their innovations. Exactly what our alumnus Mr. Arjun Mini, Batch of 2016 is happy about and what we are proud about. 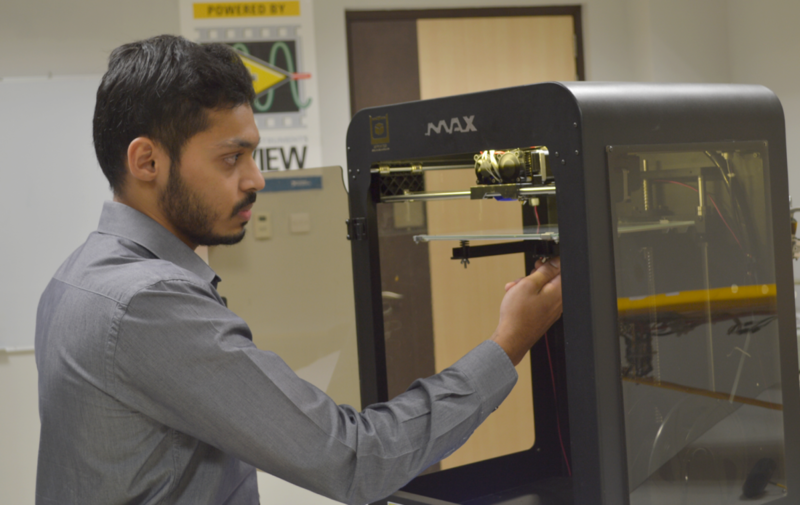 Mr. Arjun Mini, a Mechatronics Engineer from MAHE Dubai got introduced to 3D Printing technology on campus. 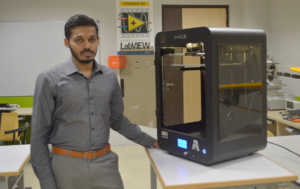 MAHE Dubai has cutting-edge facilities in 3D Printing and Robotics, but Mr. Mini along with his friends were quick to notice that these were very expensive machines. What sparked off an adrenalin rush was a business idea of having a more affordable yet quality 3D Printer. They presented their idea to their faculty in an exhibition. 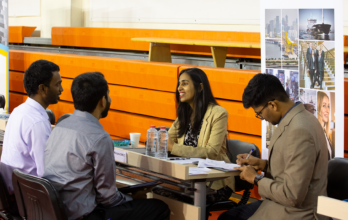 The faculty and staff of the School of Engineering and IT – MAHE Dubai encouraged them; they also got an appreciative nod from the academic president and CEO of the Manipal FZ LLC. Dedicated research on their idea commenced in earnest. At the same time, MAHE Dubai launched MIC, which proved to be a blessing to the young entrepreneurs. The young students could make full use of the research funding and the infrastructure of MIC’s incubation facility. 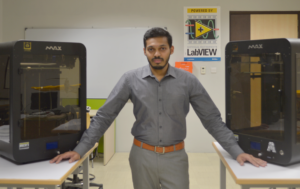 With complete support and guidance available for design research, design and commercializing of the idea, Mr. Mini was ready with his pilot machine – the affordable, compact 3D Printer. They then tested it through various exhibitions and trade shows and after receiving encouraging feedback, launched the printer. Mr. Mini and his friends have registered their company as Inovics FZC with 3D Printer as the brand name of their product. As a part of UAE Innovation month -2018, they have successfully showcased their brand in a number of prestigious trade shows and exhibitions. Inovics has worked with different Government entities so far. Worth a mention is MBRH (Mohammed bin Rashid housing Est., whose villa projects Inovics has prototyped), who provided them with space in the Festival City Mall as well as the World Trade Center, Dubai. Inovics has also got an opportunity for international collaboration this year. For all those who are looking for a well-equipped Incubation Center in Dubai, do get in touch with us on +971 4 4290 777 or visit https://bit.ly/2TvNuwK for more details.